Add a note of Chinoiserie to a traditional or Victorian home. Mix a Chinese Chippendale look in with a comfortable historic home. Thomas Chippendale’s design book, The Gentleman and Cabinet Maker’s Director included Chinese as one of his four main styles. 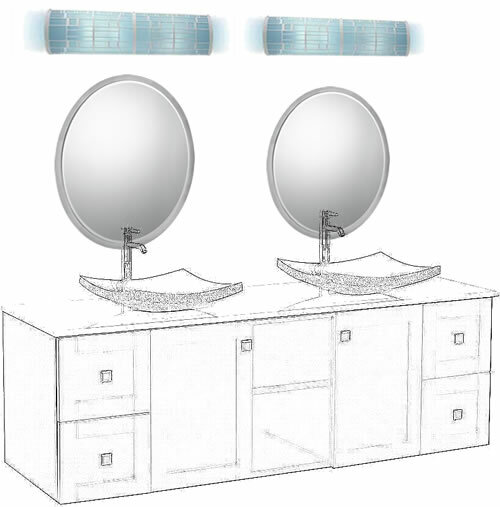 Chinese Chippendale is characterized by latticework and lacquer. 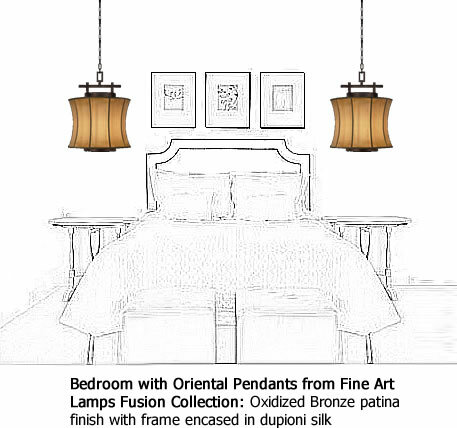 The Fine Art Lamps Fusion Collection includes a small and large pendant and a coordinating wall sconce that demonstrate Asian influence. The deceptively simple metal form of hammered bronze with an oxidized patina is encased in dupioni silk. Oriental works well with rich bold colors. Incorporate traditional Chinese red and black. Or use a more muted minimalist approach. Pale, neutral, natural colors create a beautiful back drop. 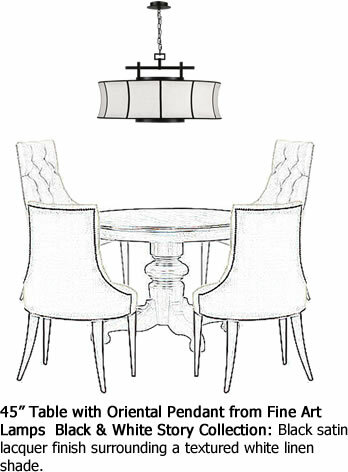 This entry was posted on November 24, 2012, in Lighting, Oriental Style, Style, Traditional and tagged Asian, bath, bedroom, best size chandelier, Blue and White, Chinese Chippendale, Chinoiserie, decorating, decorative, decorative lighting, dining table chandelier, Fine Art Lamps, Fire Farm, interior design, Japanese, Lighting Trends, Modern, Moderne, Oriental, pendant, sconce, Singapore, traditional, vanity, Victorian. Bookmark the permalink. 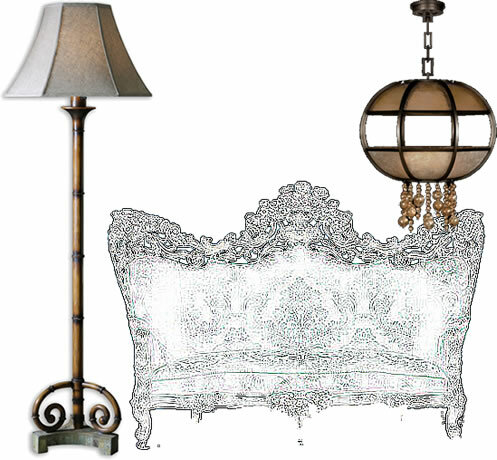 ← What Size Should My Chandelier Be?